Our team of experienced certified technicians provide top notch, courteous, professional service to our residential and commercial clientèle. Our goal is to help you cut back on the amount of cleaning chores you have to do by taking some of them off your hands. Our experience enables us to know just what our clients need, want and expect. We always do our absolute best to deliver above and beyond their expectations. Every home and office contains dust and dander that enter in from the outside world and settle in your carpets, upholstery, and well everywhere else, particularly fabrics. This, in itself is not a problem. The problem arises when your carpets and upholstery become so congested with this bacteria that they can't absorb anymore and therefore the steady flow of new bacteria entering your home is forced to hang in the air or, at best, find an open spot in your carpet when you vacuum. Our philosophy is to always go beyond just the appearance of cleanliness and to actually be a part of the process of restoring your indoor breathing air back to a healthy level. DC Carpet Cleaning knows that a healthy home starts with clean carpets. 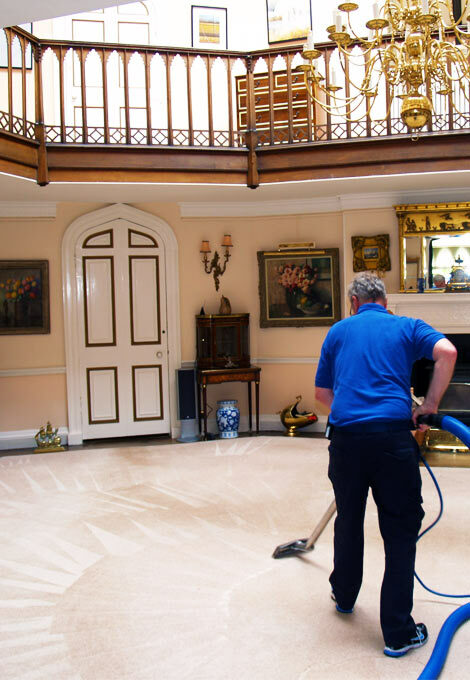 Our residential and commercial cleaning and restoration services are second to none. Contact us to book your steam carpet cleaning services to maintain and improve the beauty of your carpets. Our primary goal is customer satisfaction. Throughout the years we have made every effort to provide our clients with reliable and high quality service. We operate every day of the year! Our company understands life is 24/7, so why shouldn't your carpet cleaners be? Our cleaning products are non-toxic & safe for your home, your family, your pets and the environment. Your best friend had an accident on your beautiful rug? Not a problem, we can handle that for you.